On October 9th, 2015, pianist and composer, Tom Lawton and his ensemble presented a live performance at the Philadelphia Museum of Art. This performance showcased music that Lawton composed as part of a special commission from the Philadelphia Jazz Project to musically explore the work of Philadelphia-born and bred, modern art pioneer, Emmanuel Radnitzky, better know to the world of art as Man Ray. Lawton spent weeks looking at Man Ray’s works and reviewing information from the museum’s collection, viewing videos and films and reading books and other publications and crafted an intriguing musical work which was recorded and is finally available to hear. Download the Tom Lawton - Man Ray Suite Mixtape Below. Tom Lawton is known for his facility with both traditionally rooted jazz forms and free improvisation. He has played from age seven and studied classical music with Horace Alwyne, Joseph Barone, Judith Willoughby, Robert Durso and Edna Golandsky. His jazz studies were with Gerald Price, Al Stauffer, and Bernard Peiffer. He has been a member of the faculty at Temple University, UArts and Bucks County Community College and has given jazz clinics and master classes at Rowan University, Painted Bride Art Center and Bloomsburg University. 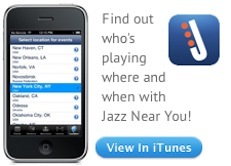 He performs extensively at jazz festivals, concert venues and clubs. 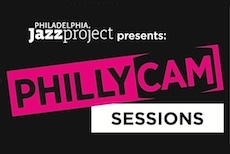 Currently in the Philadelphia area, he performs with Larry McKenna, Lee Smith, Bobby Zankel, Norman David’s Eleventet, Monkadelphia, Joanna Pascale, Mary Ellen Desmond and Miss Justine. 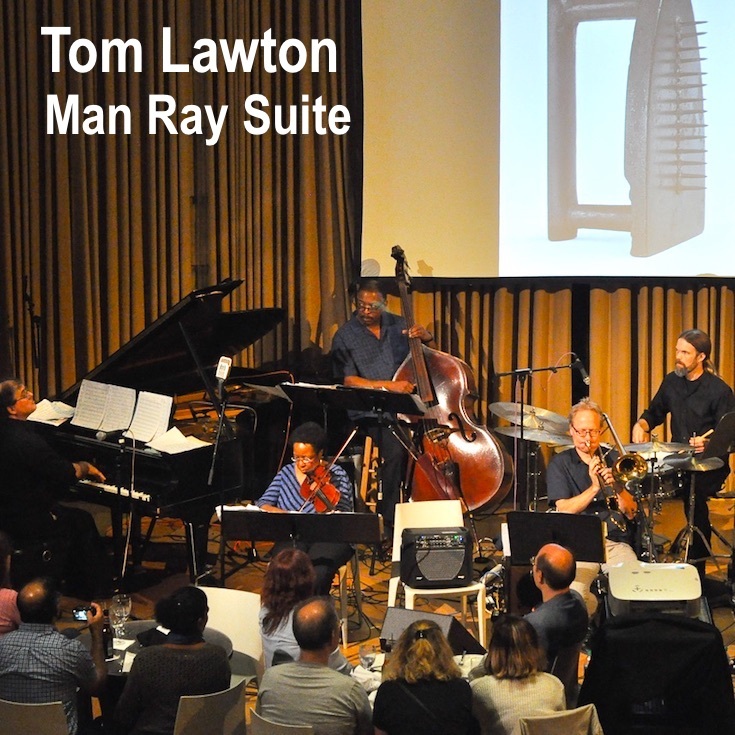 PJP recently spoke with pianist and composer, Tom Lawton about the Man Ray project and the mixtape. PJP: For those of us who weren't at the Art Museum performance, can you set the stage for us? Tom Lawton: Six musicians gather on stage for the premiere while images from a slide show of Man Ray's work are being projected behind us. PJP: Can you describe Man Ray’s work? Can you describe the music? Tom Lawton: The project was a six movement suite based on various aspects of Man Ray, both the artist and the person. The first piece Sidney Bechet-like simply reflects the period of the jazz that Man Ray listened to while working in his Paris studio. Le Tournament ( a dark brooding piece), Endgame (up-tempo, rhythmic, free) and Le Beau Temps ( like a tone poem with many moods, mostly dark ) are aural impressions of specific works, two of them paintings, one a drawing. They dealt with his sense of impending trouble in pre-war Europe and his conflict in returning to the States. A simple blues is the last movement. Entitled, Assisted Readymade refers to his use of found, or pre-existing objects, but unlike Marcel Duchamp, he changed them in some way to put his personal stamp on them. The blues is a ready-made form and I put my stamp on it, hopefully. A middle movement called, Kitchen Sink is a celebration of Man Ray's eclecticism, exploring many forms and idioms. The form moves from postbox back to stride and into a Charles Mingus-inspired swing. I aimed for a marriage of the aural and visual. PJP: What did you learn from taking on this challenge? Tom Lawton: First of all, I learned about Man Ray, whose restlessness and affinity for many different types of art mirrors my own. I also learned that the person behind the work as well as the work itself was important as a source for inspiration. That music can suggest or reflect visual impressions, but it is rarely literal. One absorbs things by osmosis and then the impressions that are stirred up create the impetus for the compositions. However, minus the chance to see the works concurrent with the music, the listener might not know where they came from. PJP: What should listeners expect from this mixtape? Tom Lawton: Hopefully, a variety of stylistic idioms that have a unity underneath. Moods, colors, great contributions by my stellar colleagues. Tom Lawton: I can't imagine doing anything but music, and ever since hearing a recording of John Coltrane playing Brasilia, the combination of discipline and freedom, form and improvisation and the exploration of the unknown ( even though it turns out it's through the accumulated history of the known) has fascinated and frustrated in endless ways. Jazz is the ideal sphere for me to explore all levels of consciousness. Thanks to all of the muscians who performeed this wonderful music. Thanks to Sara Moyn and the staff of the Philadelphia Museum of Art. In particular, special shout to the tech crew who provided sound and lighting for the performance. They also recorded this session.